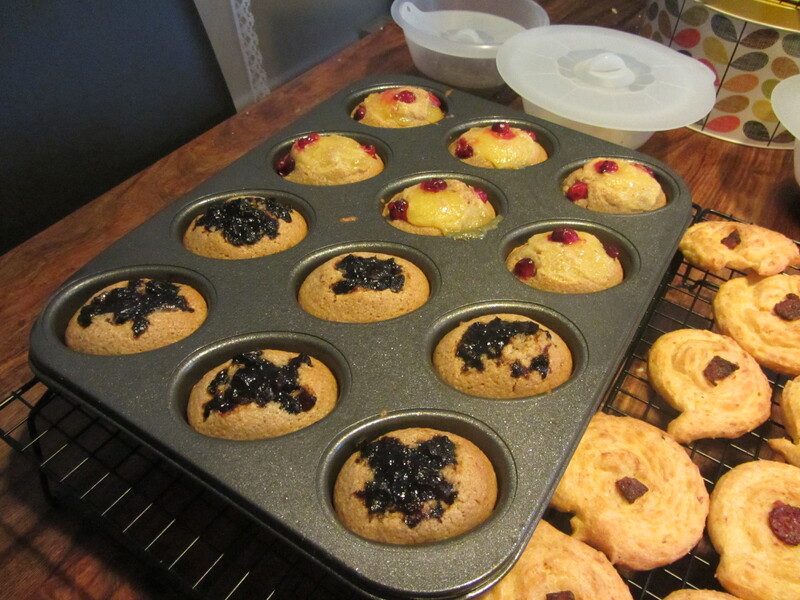 I’m finally using my new friand tray for friands, not things like popovers! I’m following this BBC Good Food recipe, although I was a bit lazy and just used to the mixer to bring everything together once the butter was cooled. I’m also going to use up some mincemeat and lemon curd. The mincemeat gets dolloped on top, while the lemon curd gets a swirl in using a skewer. 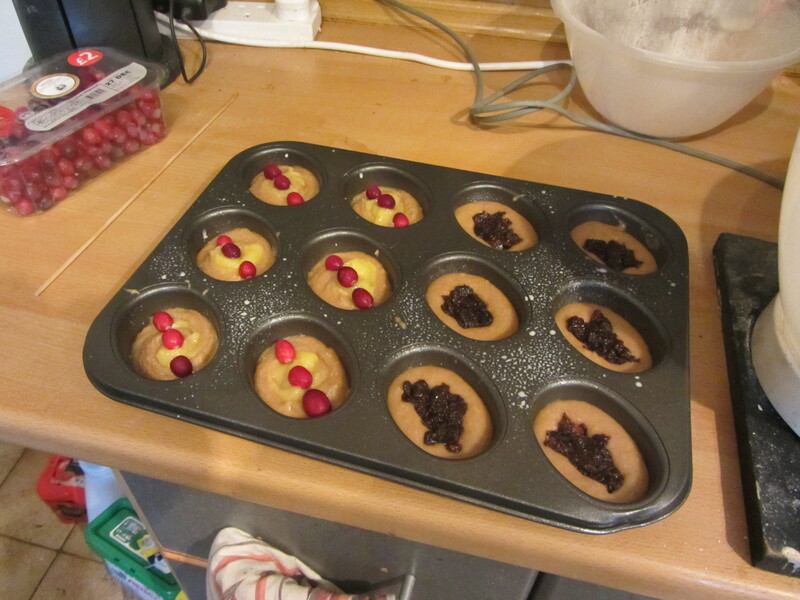 Oh and I popped a few cranberries on the lemon ones. Then it’s into the oven at 180c fan for about 18 minutes, turning half way through, and when I tested with a skewer they seemed done. 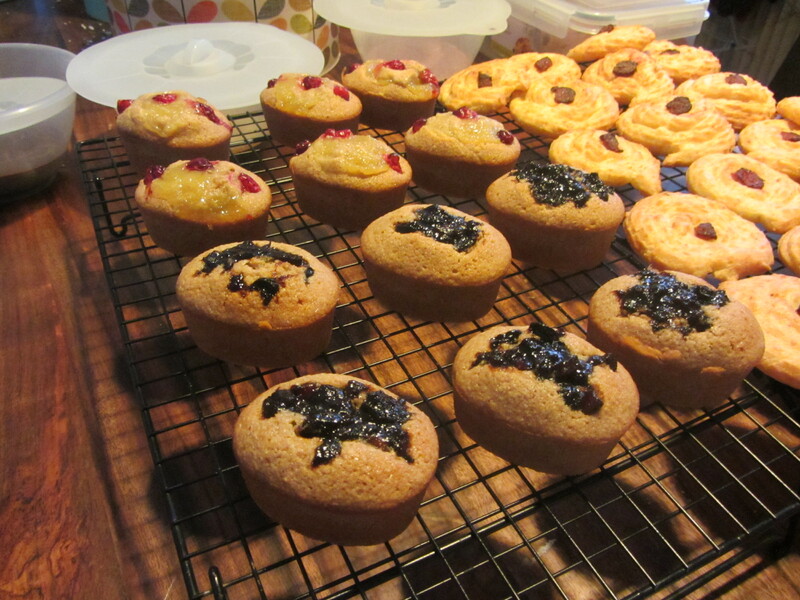 Then it was 5 minutes on the cooling rack. Then they popped out easily using a desert spoon, and were left to fully cool.